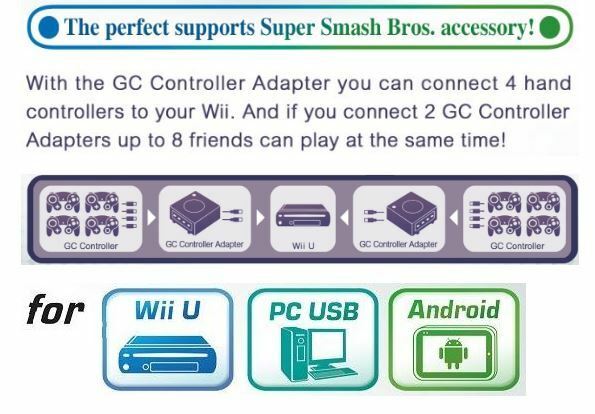 This controller adapter is to be used with Wii U consoles. 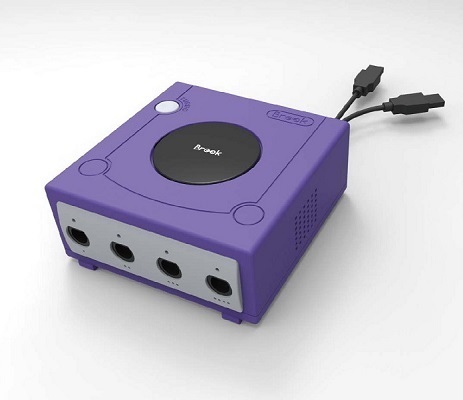 It allows you to connect four GameCube controllers to one Wii U console. Connection to the Wii U console from the controller adapter is via USB. 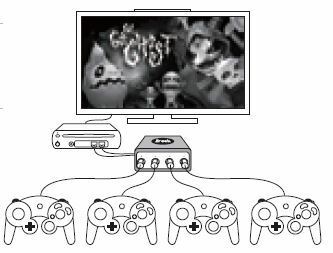 The controller adapter supports the Turbo fire function. NOTE: This product supports the PC TWIN SHOCK software. NOTE: This product also supports the Turbo fire function. NOTE: When playing on PC, only sockets 1,2 and 3 can be used. 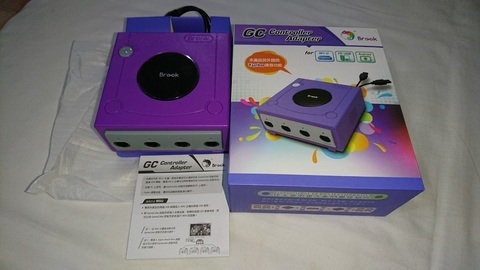 The GameCube controllers. 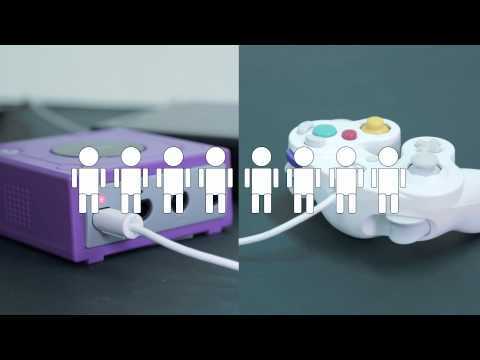 will not work in the Wii U’s main menu. You must enter the Super Smash Bros game to be able to use the GameCube controllers.